Wondering Where to Begin To Avoid Foreclosure? Timing is crucial if you want to avoid ending up in foreclosure! The process is very complicated and not easy, however, if we can save you from foreclosure, then it is well worth it! The earlier you seek assistance the better your outcome. Take a deep breath, and start with step one. Contact The Distressed Seller Rescue Team at Coldwell Banker for a confidential discussion to learn what your options might be to avoid foreclosure of your property. 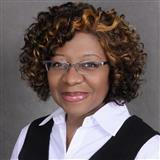 Request our FREE short sale reports -or- simply call Marsha B. Washington at 646-249-6212. During your initial complimentary meeting with Marsha you will learn what questions to discuss with your accountant and attorney for additional advice and possible tax or legal ramifications with a short sale or foreclosure. If you do not have one, ask for some professional recommendations. Read the FREE Reports offered by The Distressed Seller Rescue Team to learn more about the short sale process, how to modify your loan, and what the common mistakes homeowners make that cost them their home! If a short sale is determined to be your best option,we will forward the easy to complete Homeowner Document Preparation Checklist and assist in preparation of the documents needed to work with your lender. The Distressed Seller Rescue Team will carefully analyze the surrounding real estate market and give an expert opinion of value, list your property for sale, make suggestions for showings and begin marketing the property to attract a qualified buyer who is willing to work with a Short Sale Property. Once we have a qualified buyer for your property, Marsha will submit your completed extensive Short Sale package to your lender (s) and will negotiate on your behalf to obtain a favorable short sale acceptance with your lender (s). You can move on to the next chapter of your life and exhale, knowing that you did everything possible to avoid foreclosure and save your credit from the worst! If you're not sure on whether to do a Short Sale or Foreclosure? Request our FREE Report entitled Foreclosure Vs. Short Sale to learn why it is well worth your effort!